What’s the Project? 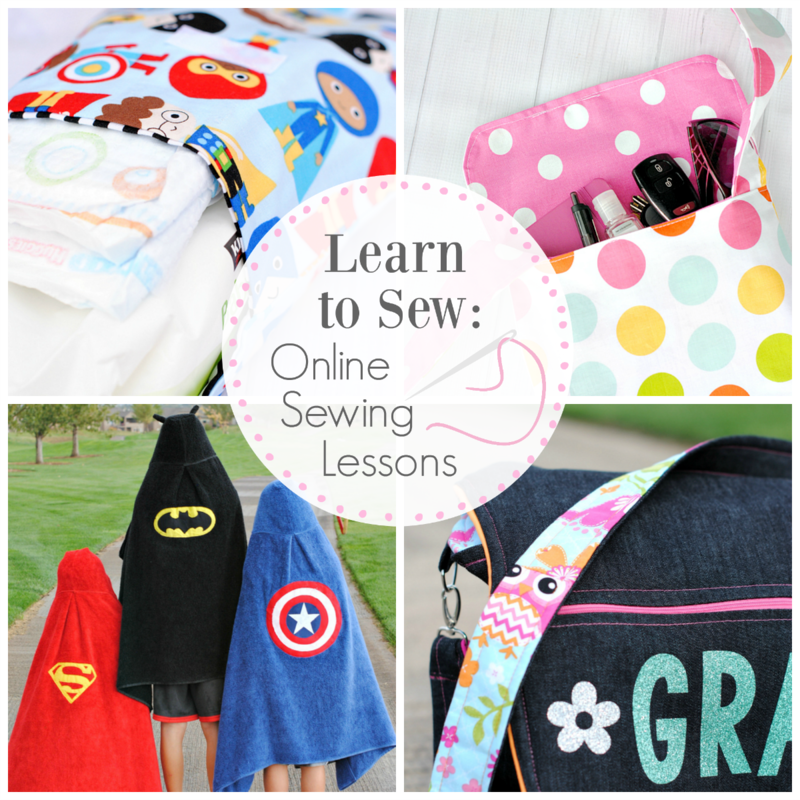 Looking for an easy way to learn to sew? These free online sewing classes will walk you through the basics from the comfort of your own home. So you’ve got a sewing machine. And now you don’t know what to do with it. You’re not alone in this-it’s pretty common to be intimated by that machine. There’s a lot of parts, a lot of sewing terms to try to understand and it can all be overwhelming. You could sign up for sewing classes at a nearby sewing shop. And that’s a great idea. If you want something that you can do from the comfort of your own home, this Learn to Sew course might be just right for you! These are free online sewing classes that you can go through at your own pace and they include projects, or homework, with each lesson so that you can practice your skills. It’s all easy and it’s all free! Here are some things to look over before you actually sit down at your machine. 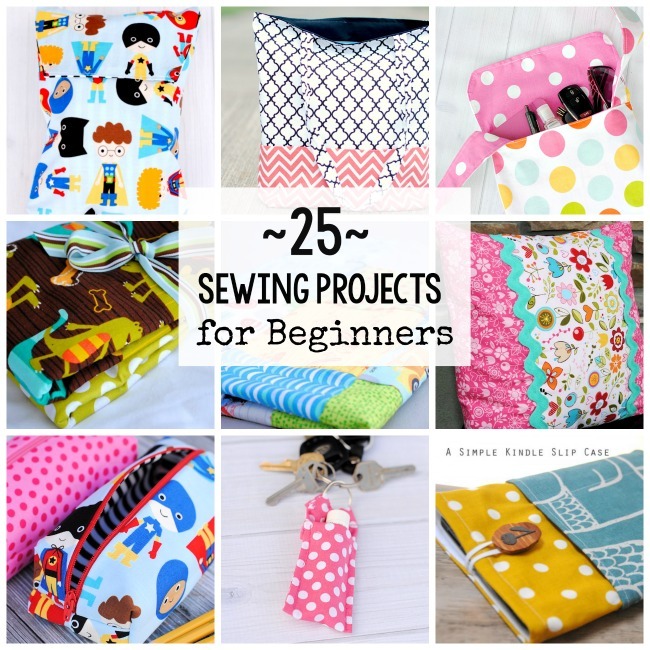 These will help you build a foundation and understanding before you get started sewing. The Beginner’s Guide to Sewing: Everything You Need to Know to Learn to Sew: A huge overview and walkthrough of everything you’ll need to know as you are getting started sewing. How to Use Your Sewing Machine: A beginner’s guide to understanding the sewing machine including how to thread it. Understanding Sewing Terms: A Sewing Dictionary: A picture guide to understanding basic sewing terms. How to Buy Fabric: Overwhelmed by the fabric store? Let’s break it down a little with this walkthrough of how to buy fabric. What Sewing Supplies Will I Need: A list of the basic sewing supplies you will want to buy to get you started. The Sewing Pledge: Something to read before you start. Here are the sewing classes. Go through them at your own pace once you are ready to start and have fun with it. 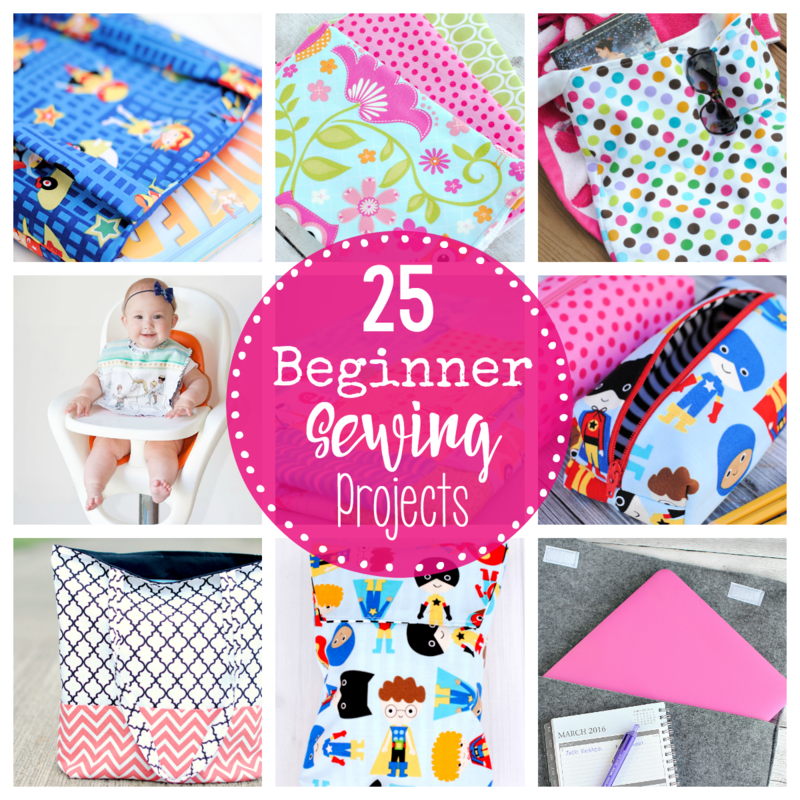 Once you’ve complete those sewing classes, there are a bunch of fun beginning sewing projects that you could try! 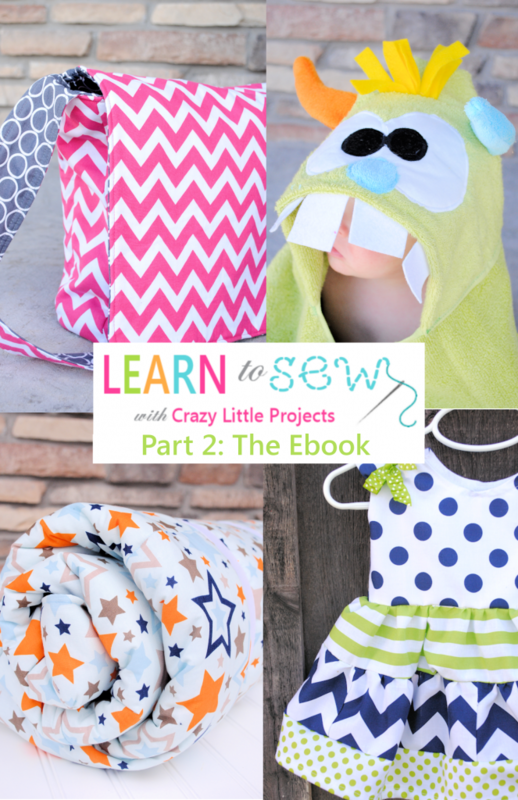 And if you’re itching for more sewing knowledge, there’s a second Learn to Sew course-this one in ebook form. 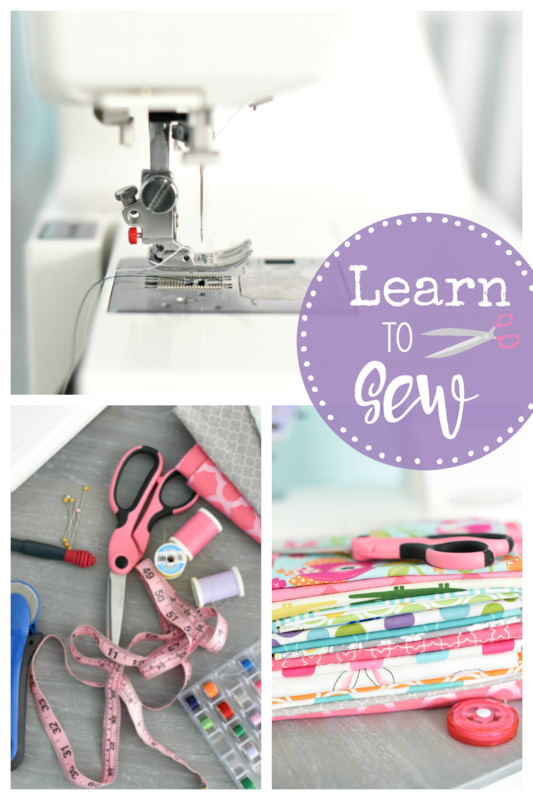 Hopefully, these sewing classes will really help you get going on learning to sew! Have fun with the process and enjoy what you are creating! I LOVE YOU! I have almost paid close to 100 bucks to have my skills revamped and refreshed after a 20-year absence. Thanks. I have made some tings for friends and family and the response is: ‘Wow! You thought of me/us/ my new baby? It’s SOOOOOOOO awesome to think of me! It fits perfectly. I never had anyone make something like this for me!” You are right; nobody cares if there are a few threads. They each feel loved and thought of. What a nice thing for you to do,Happy sewing! I would love to learn how to properly cut material with a cutting board and mat and cutter! I would love to start your on-line sewing classes. This is an awesome idea, although i have been sewing for awhile and am self taught, I know I can learn more from a professional sewer like you! I am also self-taught learning from my mom mostly. I’m 51 now and a widow, and sewing more than I have sewed before. My daughter has learned to sew and picked it up very quickly after years of shying away from the idea of needle and thread, but has sewn on buttons for her fiance. Now that’s she’s taken to the sewing machine, we both are learning quite a bit. I’ve sewn by hand for years. It was not until this year I put my hands on a sewing machine. This is a great site with lots to learn. I hope to learn much more as I dream of being a fashion designer and selling my creations to others and being in shows. I am glad I stumbled across it. I love this! My son had a sewing machine delivered to his front porch. When he finally found it (uses back sliding door), he tried to return to Amazon. They told him to keep it so now he wants to learn to sew. I would love to relearn what I lost after a stroke. I have figured out a lot by myself but I wonder if I can keep up learning everything quickly. Also, how much will the course cost and if I find I cannot keep up will be a problem for me not knowing everything you are teaching? I think I can learn a lot and I’m hoping to be able to sew aprons, furniture covers and anything I’d like. Thanks!!! Oh good luck! The course is free and you can just do it at your own pace so it should be perfect for you!! I would love to learn. I bought a machine but I don’t know how to use it. I have got that passion for sawing. please help me. i was taught to sew by mum when i was young, but i lost interest when i went to high school. for some reason, i have developed this desire of relearning to sew again. Learning to sew in sew* important! I love all these guides. I also wrote one myself! I am motivated by your lessons and all the wonderful comments I have read here. I really want to learn to sew but I am not sure what machine to buy yet and where to purchase it. Kindly advise. Just woke up this morning and said to myself enough is enough. I wish to be a registered nurse but for now am at home with my kids. I think I got to make use of the free time I have for to do something creative. Sewing came into my mind and eventually I fell on your website. I have alot to acquire from you and I am excited about it. I think am ready to use my imagination in this art. Thanks so much for sharing your knowledge. Love that and good luck! You really doing a best to providing the information about sewing, designing, stiching and drapping. Thanks for posting about information about sewing, its really helpful for those who wants to be a professional swer. I really want to learn to SEW… i have a couple of mental disabilities that prevent me from learning. My memory is well. I have a real Problem with Instructions. I can read them, but I just can not Understand them… Now once I’m showed how to do it, then I’m on my way. I’ve tried to learn to thread my machine. Even tho I have the 1 2 3 basic Instructions. I’m just not capable of Comprehending all that.. I hope some of these lessons will work for you! Hi how do I start this program on learning how to sew & baking? It’s a free download now. I do not know how to sew a stitch. I am tall and get frustrated about the cost of basic pjs in my inseam that I think I am better off just learning to makebthem myself. I’ve also wanted to a bunch of DIY projects and this skill would be handy. Would you also recommend a suitable seeing machine to purchase? I love that cross back apron. Do you have a pattern for it? If so where can I purchase one? Love your ideas! Great information!!! Thanks for sharing this information. I really enjoy to read this blog. Great information!!! Thanks for sharing this information and really enjoy your video. 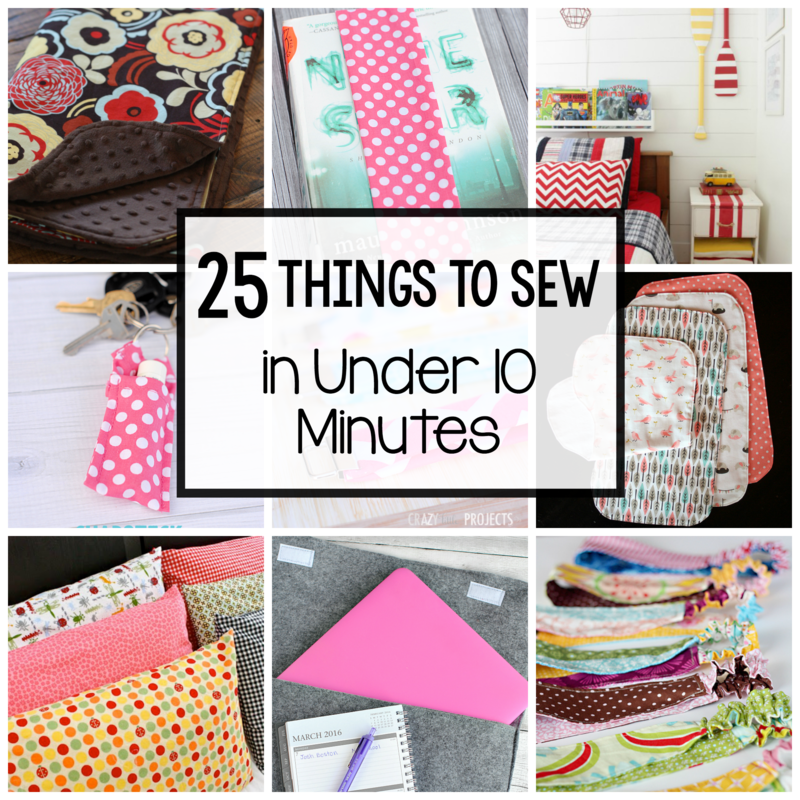 Thak you for posting the great information regarding sewing that helps you learn all the techniques of sewing. Thank you a lot.